Teaching English in South America: Is It Possible? Rio, Buenos Aires, Quito… ahhhh starting a new life teaching English abroad in South America sure does sound tempting! If, like thousands of other TEFLers, you are longing to make the big move to South America then you’ll need to make sure you get clued up about how to make it happen! Done the ‘TEFL jobs in South America’ Google search? Not brought up loads of jobs? Don’t panic – this doesn’t mean that there isn’t a demand for TEFL teachers. Instead, a lot of job opportunities tend to be advertised on the ground – many TEFL teachers seeking employment visit the employers in person! Here’s a short guide to landing your dream TEFL job in three of the most popular South American destinations! Where’s the demand? The demand for jobs in Argentina tends to be pretty constant! 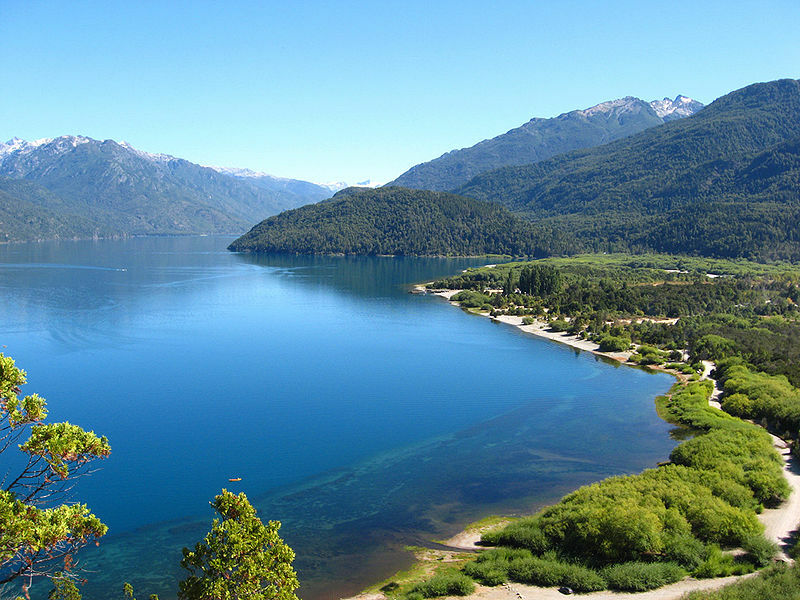 With no degree required, Argentina is a popular destination! There is a high demand for Business English teachers and conversational English lessons rather than state school positions though. The most popular destination within Argentina is, undoubtedly, Buenos Aires. However, cities such as Rosario and Cordoba are equally as popular. If a city has a strong, economic centre then there will, no doubt, be a demand for TEFL teachers. Problem solved. How do I land a job? In general, being in-country for your job hunt in South America is the best option to land your dream job. You’ll have the opportunity to meet would-be employers face-to-face, hand in CV’s and also keep an eye out on any advertisements in magazines, shop windows etc. What happens out of the classroom? Exploring! The cost of living in Argentina is not cheap compared to other TEFL destinations; the main killer will be your accommodation. Rent can be quite expensive; around 500 Argentine Peso a month and this will be higher in Buenos Aires. A good way to keep costs down is to live with fellow teachers. Where’s the demand? Brazil throws a spanner in the works! Contrary to most TEFL destinations, there isn’t a lot of demand for TEFL teachers – or for foreign workers full stop. Brazilian employers view employing foreigners for work as expensive. If you have a specialist skill that would be useful to the Brazilian workplace then you will be granted a work visa – however, getting this as a TEFL expert is quite unlikely. For this reason, most people decide to work illegally on a tourist visa, opting to do a border run to a neighbouring country twice a year to renew their visa. How do I land a job? Everyone wants to work in Brazil – home to carnival and the AMAZON – Brazil has lots on offer! The most popular TEFL destinations are Rio de Janeiro, Sao Paulo and Brasilia and, similarly to Argentina, it is much easier to find jobs on the ground rather than applying from home. Search through classified ads and local English language magazines. Job done! What happens out of the classroom? Salaries start at around 1,500 Brazilian Real. The bulk of your wage will go on your accommodation, and it is better to share with other teachers to keep costs down. Other than that, the cost of living is very cheap indeed with a three course dinner setting you back around 25 Brazilian Real. Where’s the demand? Ecuador is an extremely popular South American TEFL destination, especially amongst non-degree holders, as there is a high demand for TEFL teachers in Universities and the Business sector. How do I land a job? Once again, the best way to land a job in Ecuador is in-country; however, it is also possible to apply for one from home. Most TEFL teachers enter the country on a tourist visa then go and get their work permit from Peru. To obtain a work permit make sure you have all of the following: personal references, medical certificate, birth certificate, proof of financial support, a job offer and your TEFL certificate – your employer should help you out with all of this though! Popular destinations include: Quito, Cuenca and Guayaquil. What happens out of the classroom? Cost of living in Ecuador is very cheap indeed! Rent will set you back around 100 US dollars a month, most teachers live in a private room within a shared house but if you really want to immerse yourself in the local culture then another option is to live with a local family! Expect to earn around 400 US Dollars a month. I’m looking to teach abroad from September 2016 in South America. I am a qualified and experienced TEFL teacher as well as currently working as a UK teacher with QTS in mainstream. I’ve been teaching in various roles for 13 years. I’m looking for a short term contract working in a school (not homestay) of a few months/terms to a year. Do you offer anything like this? How do I apply please?